That's awesome! It's great when you can make fun toys out of nature like that. I'm sure your little one loved it too! You do have an adventurer there! Isnt it great what we can find when we let nature be our playground!! So much fun! This looks like it was so much fun. I love finding play equipment in unexpected places. Weee! what surprising & imaginative fun! 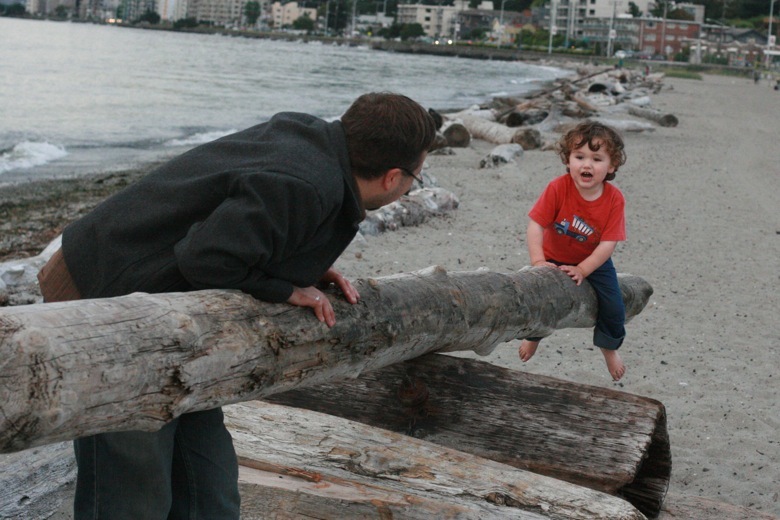 Looks like fun and your little one is so precious! Sweet smiles! Lovely pictures! What a great idea! PS I love his little barefeet! Too cute! Fun and a workout all in one. Thats so cool! 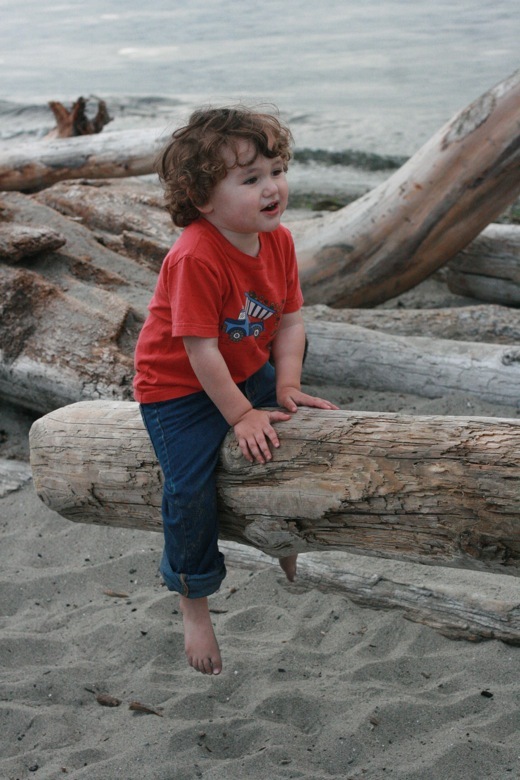 We love exploring and climbing logs at the beach too, but I don't think we've ever found a teeter totter! How cool is that. What a find on the Beach shore. I bet they had so much fun.